Swedish poet Tomas Tranströmer received the Nobel Prize in Literature on October 6. Nominated every year since 1993, he was selected “because, through his condensed, translucent images, he gives us fresh access to reality,” according to a Nobel Prize press release. 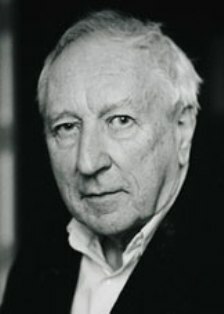 Tomas Tranströmer was born in Stockholm on 15 April 1931. His mother Helmy was a schoolteacher and his father Gösta Tranströmer a journalist. After graduating in 1950 from Södra Latin grammar school he studied literature history and poetics, the history of religion, and psychology at Stockholm University – subjects he took for his Bachelor of Arts degree in 1956. After completed academic studies, he was employed as an assistant at the Institution for Psychometrics at Stockholm University in 1957. In the following year, he married Monica Bladh. Between 1960 and 1966, he worked as a psychologist at Roxtuna, a youth correctional facility near Linköping. In 1980 he took a position at the Labour Market Institute (Arbetsmarknadsinstitutet) in Västerås. In 1990 Tranströmer suffered a stroke that left him largely unable to speak. After publishing poems in a number of journals, Tranströmer published in 1954 17 dikter (17 poems) – one of the most acclaimed literary debuts of the decade. Already apparent was the interest in nature and music that has informed a major part of his production. With the following collections – Hemligheter på vägen (1958; Secrets along the way), Den halvfärdiga himlen (1962; The Half-Finished Heaven, 2001) and Klanger och spår (1966; see Windows & Stones : Selected Poems, 1972) – he consolidated his standing among critics and other readers as one of the leading poets of his generation. A suite, Östersjöar (1974; Baltics, 1975), gathers fragments of a family chronicle from Runmarö Island in the Stockholm archipelago, where his maternal grandfather was a pilot and where Tranströmer has spent many summers since boyhood. His reminiscences from growing up in the 1930s and ‘40s are collected in a memoir, Minnena ser mig (1993; see: Memories look at me in New Collected Poems, 1997). Most of Tranströmer’s poetry collections are characterised by economy, concreteness and poignant metaphors. In his latest collections, Sorgegondolen (1996; The Sorrow Gondola, 1997) and Den stora gåtan (2004; The Great Enigma, 2006), Tranströmer has shifted towards an even smaller format and a higher degree of concentration.